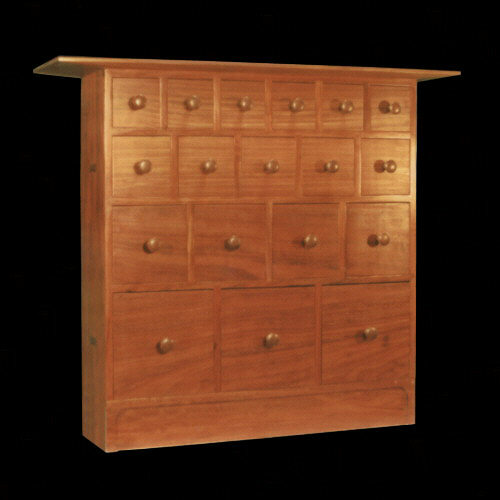 This is my 18-drawer apothecary. 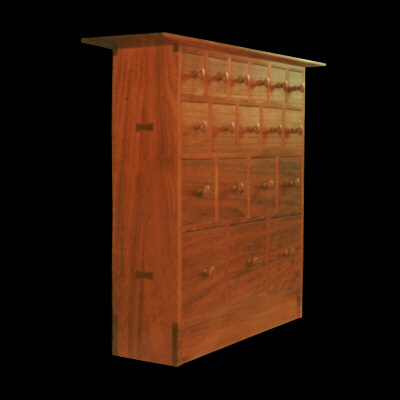 This cabinet is made of solid African Padauk, a wood I rarely use. 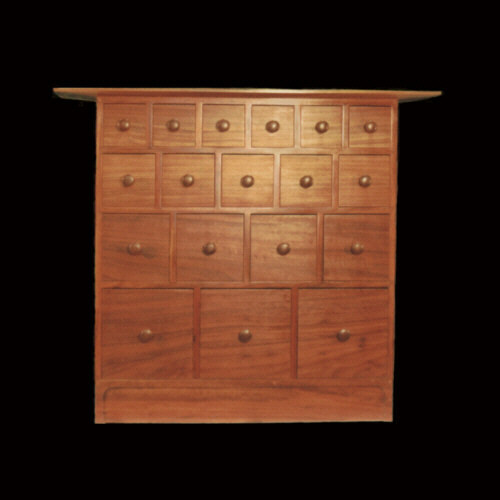 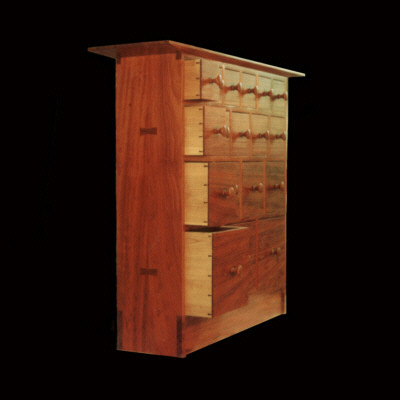 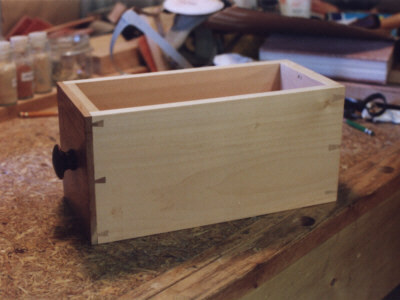 Drawers are made of cherry insides with aromatic red cedar bottoms and are practically airtight as usual. 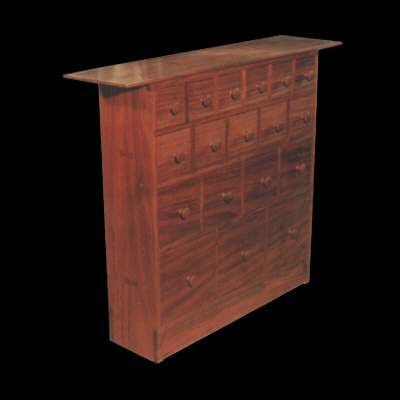 The cabinet measures W=48 5/8" wide, by 42 1/8" high, depth is 12", top 14".